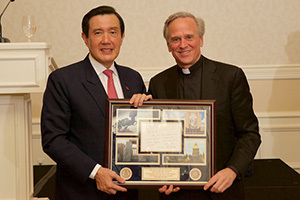 Ma Ying-jeou, former president of Taiwan, spent last weekend at University of Notre Dame at the invitation of Notre Dame president Rev. John I. Jenkins, C.S.C. 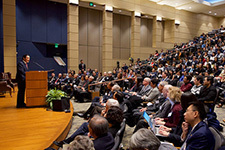 The occasion was Notre Dame’s Asia Leadership Forum, sponsored by the Liu Institute for Asia and Asian Studies. Originally published by Joan Fallon at news.nd.edu on November 22, 2016.